Delve into a history that spans across the annals of time, from Roman Emperors to Moorish kings and Christian conquests. A history blending innumerable cultures and a diverse people. This tour emphasizes historical discovery and artistic exploration, through heritage sites and museums. Dive in the Moorish side of Spain with an after-hours tour of the massive palace of the Alhambra, alone with history. 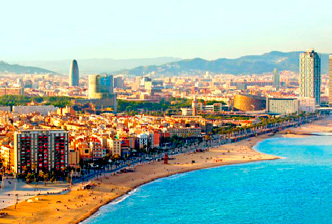 Accompany art historians and gallery curators along personal tours of Spain´s grandest museums. View grand cofradías, Easter processions, from a private balcony. Sip coffee and tea during a conversation with Madrid´s artistic heroes – a family that saved the Prado´s collection during the Spanish Civil War. Access elite Madrileños personal collections, housed in palaces and luxury studios alike. 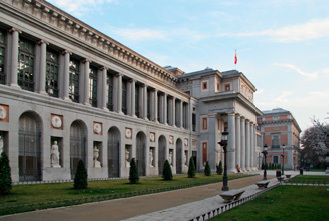 Special after hours entry to all of Madrid´s premiere museums – accompany gallery directors and art historians through the Reina Sofia, Prado, Picasso, and more. Take a city wide contemporary gallery walk with Spanish artists. Renovated throughout the eons, the transformation of the Alhambra lead to an incredible story, its ruins and renovations reflecting Spain´s turbulent history. 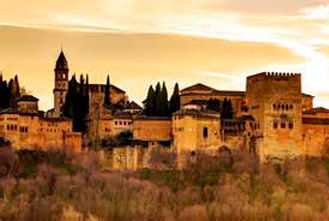 Experience the Alhambra and the Gardens of Genralife in a way few ever do – apart from the crush of tourists, guided by local experts and historians. the UNESCO world heritage site of the ancient Albaicín district. Baroque architecture, built over the mosque of old. Discover the still developing story of Spain´s Jewish heritage, from the golden age of the Convivenza, to the dark corners of the Inquisition through an insider´s look of Barcelona´s Jewish quarter and a conversation with a leader in the effort to preserve Jewish history. Marvel upon Roman ruins and Gothic constructions alike, in addition to the absurd La Segrada Familia Cathedral, over 400 years under construction. Tour a private residence designed by a legendary Art Nouveau designer. Treat yourself to a chocolate themed epicurean tasting tour.